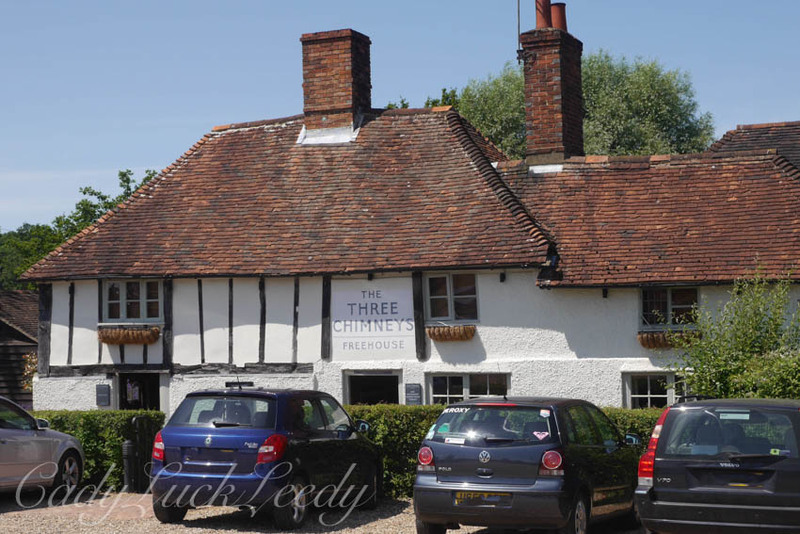 Near Sissinghurst Castle is a “not to be missed” pub called The Three Chimneys Freehouse. Located at the intersection of three country roads, the outside is much as it was hundreds of years ago. During the Seven Year’s War (1756-1763) some of the three thousand French prisoners at Sissinghurst Castle, who were placed on parole, were allowed as far as the pub. At the time the locals called the pub “The Three Wents,” or three ways, referring to the three paths that led there, but the prisoners called it Les Trois Chemins ( The Three Paths). 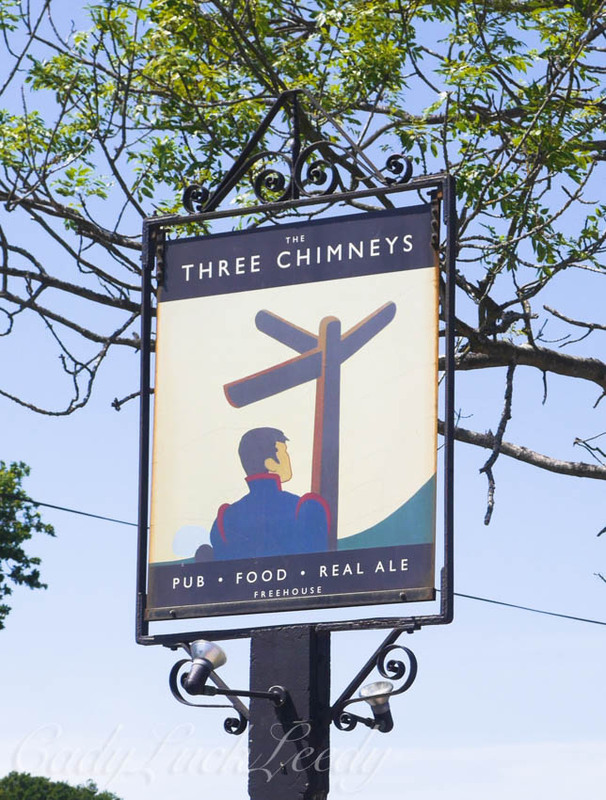 Did the locals think the French were saying three chimneys or did that name refer to the chimneys on the pub? Or could it be the three chimneys at the three paths? The sign at the pub reflects the paths part of it’s past. See the particulars about The Three Chimneys Freehouse here. The Three Chimneys is dated 1420 and the half timbered structure remained the same for 500 years. At that time it was a simple country ale house. Although The Three Chimneys has never lost it’s character there are now several eating areas within the pub, the newest being the seating area overlooking the gardens. There is lots of history to be gleaned here and I particularly liked the story of the last man who died here. Needless to say, there no longer is a pond outside. 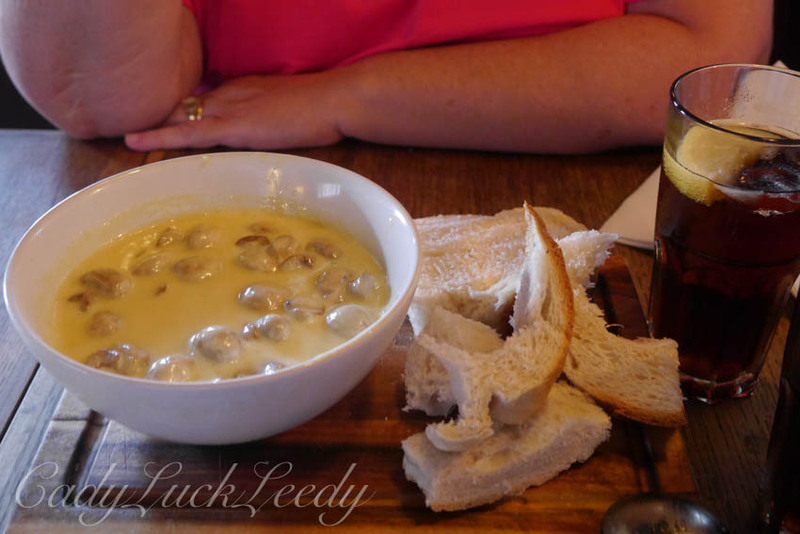 Here was our appetizer at the Three Chimneys Pub; a mushroom and cheese dish for two. 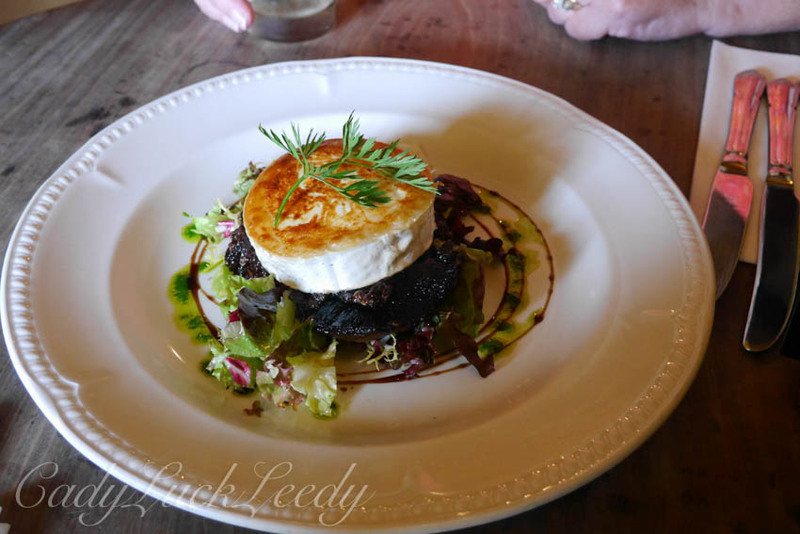 A GIANT field mushroom with carmelized red onions was drizzled in balsamic and topped with a grilled soft goat cheese! Delicious!!!! To our delight the country pub has been recruiting great chef’s! The food offered in the neighborhood pub would make Jamie Oliver proud. The freshest local ingredients and creative food choices has definitely added to the charisma of the local pub. The atmosphere of the English Pub is what draws us to the pub in the first place. Sitting at a wooden table by the fireplace, cozy in a low ceilinged, small room, reminds us of days gone by. In the pub you are part of the community; catching up on news, celebrating events, just enjoying life! Today the locals are visiting the pubs like they have always done, although the pubs are now non-smoking and serving much more than the local ales. There are not as many pubs in town as there used to be due to the stiffer drinking laws, so the surviving pub needs to present it’s best. 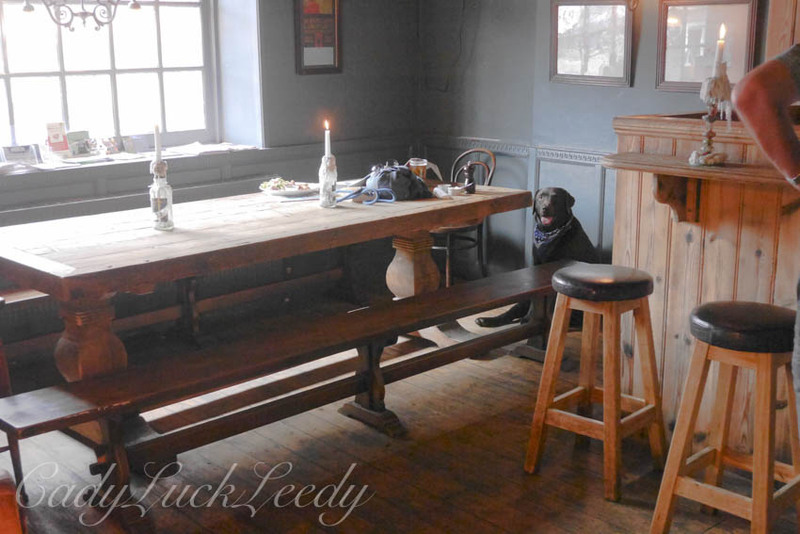 We were not disappointed in our choices and these two pubs were some of our favorites! 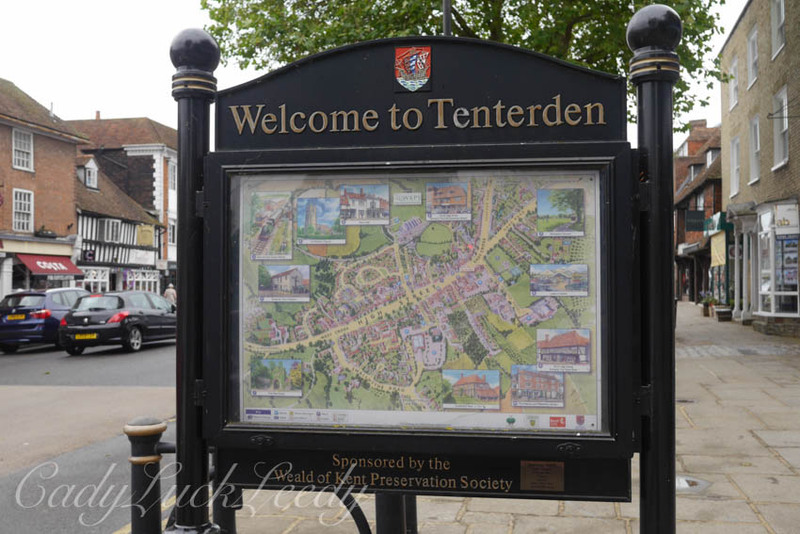 Tenterden, our “base camp” for our “Tour of English Gardens” was a thriving, busy, market town with the widest streets by far! Here one could find all the amenities and fine shopping one desired. Parking is at a premium here and an oddity for us was paying to park while shopping at the grocery store. It was, however, the largest parking lot in town and others would have parked there whether grocery shopping or not so I understand the meter business. We learned all about the meter system too! Every country is so different! Here you place part of the numbers of your car license plate into the meter machine along with your money at a localized spot! Voila! 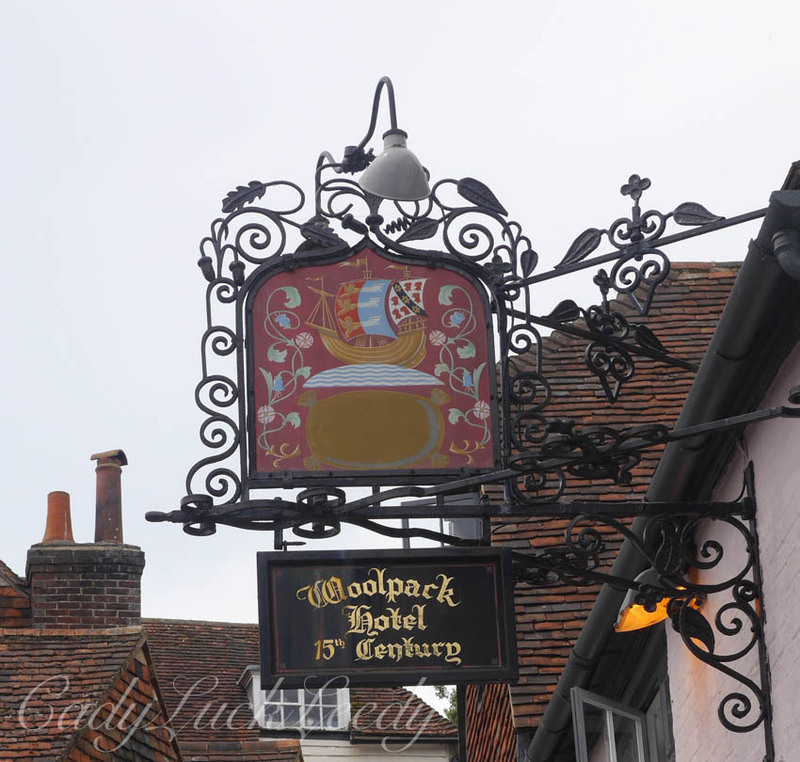 Our favorite pub, “The Wooley”, in Tenderden was at The Woolpack, a 15th century hotel that has just undergone re-furbishment and new management. Located on High Street, in the heart of Tenderden, we had THE BEST cheese and mushroom hors d’oeuvre. It turned out to be a warm, thick, creamed, cheese soup with whole mushrooms in it and was served with a loaf of warm french bread! 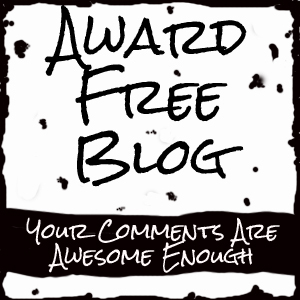 Need I say more! Delicious!!!! Be sure to check out the local pubs when visiting the U.K. You won’t be disappointed! Man’s best friend comes here too! I read your post about not visiting places near one’s own home! How true! Everyone else’s backyard seems so much more fun!